The 2018 NICEIC and ELECSA Electrical Apprentice of the Year Competition is now open for entries. Now in its third year, the competition, which is sponsored by the Scolmore Group, is for all Level 3 students, and will once again seek to test the skills and knowledge of those candidates who put themselves forward. The registration process has been simplified for this year so that now when students log into register at www.niceic.com/apprentice they can go straight to the online test, which forms the first stage of the competition. Darren Staniforth, Training Development at Certsure, said: “NICEIC and ELECSA have a responsibility to ensure we are doing all we can to work with, encourage and promote apprentices. “Through this competition we want to recognise the talents of electrical apprentices and acknowledge all the good they do. There are three stages to the competition. The online assessment to test levels of electrical knowledge will be open to all students, with the top 20% qualifying for the next round – a 90 minute practical exam to be held at a number of locations across the UK and marked by industry experts. Eight students with the highest scores from stage two will go through to the final. 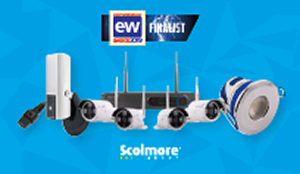 Every college that enters 20 students or more for the competition will receive a Scolmore College Pack containing a variety of Scolmore products. The brightest talents will be rewarded with a range of prizes – including holiday vouchers worth £2000 for the winner, £750 for the runner up and £250 for third place. 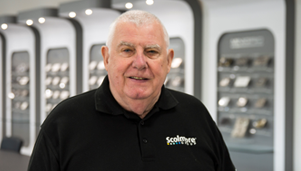 The eight finalists will also each receive an engraved trophy, an iPad and a ‘Van Pack’ of Scolmore products, while the college of the overall winner will receive £1000 worth of Scolmore products. Commenting on the company’s continued association with the initiative, Marie Parry, Scolmore marketing director, said: “We couldn’t be more pleased with how last year’s event went. The talent of the individuals who made it through to the finals was very impressive indeed and we are hoping to build on this success and attract even more entries and industry interest as the competition gathers momentum.